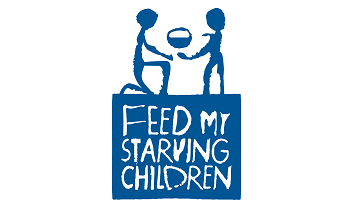 Feed My Starving Children (FMSC) is a Minnesota-based global hunger relief organization. FMSC relies on 100% volunteer labor to hand-pack a specially formulated, highly nutritious meal for starving children. In 2009, approximately 405,000 volunteers packed over 91 million meals for starving children in over 60 countries.